With harvest a quickly fading memory, vineyard managers turn their attention to preparing the vines for a long winter’s sleep. 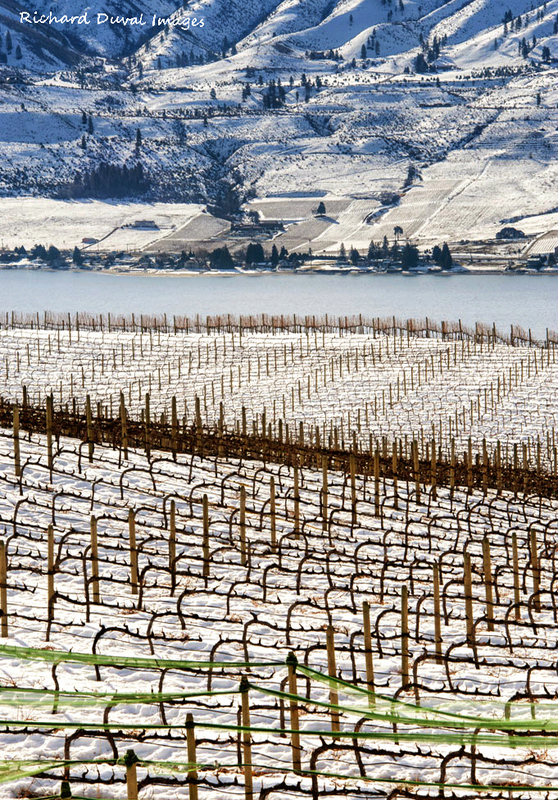 And while winter vineyards might not resound with the vivid colors of summer, there is something alluring about slumbering rows amidst a blanket of white. Click on the picture to see a larger image. Enjoy!